Born & Bred worked with Rise & Set Agency to ideate a fundraising activation for one of Europe’s most renowned football clubs, F.C. Barcelona. The goal of the activation was to help the F.C. 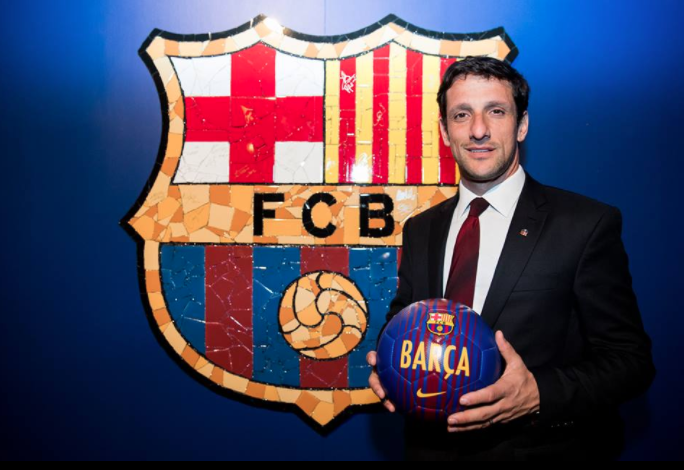 Barcelona Foundation raise money to promote education and sports for kids. Held at the famed Rainbow Room, NYC and Ibiza based artist Jason Dussault created a Catalan inspired mosaic installation. From there, F.C. Barcelona players took part in signing the mosaic and competed live at FIFA. The event was accompanied by music from international futbol lover, Lupe Fiasco. Aside from the signed merchandise and mosaic auction, the players and coaching staff donated 0.5 percent of their pay to the F.C. Barcelona Foundation.